A former Shropshire news reporter who went on to become a leading journalist on a national newspaper has come back to the county and is now starting life again as a qualified lawyer. Allister Hagger returned two years ago to take up the contrasting career of a trainee lawyer with Wace Morgan Solicitors after a decade working on Fleet Street, most recently as the foreign editor for the Daily Express. He has just qualified as a solicitor with Wace Morgan, which has three offices in Shrewsbury, and will specialise in litigation, with a particular interest in defamation and privacy. 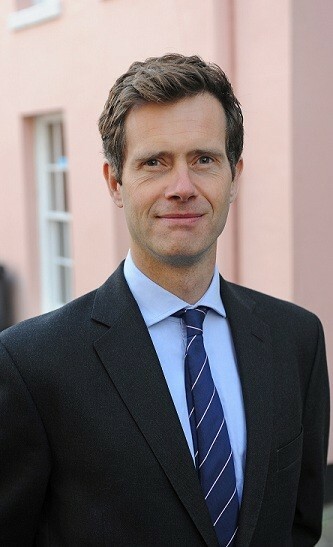 Allister was educated at Prestfelde and Shrewsbury School and began his career in journalism on the Shrewsbury Chronicle but London beckoned, where he became an agency reporter. The job involved many hours covering court cases – and it was at this point Allister began to consider a legal career. With that, Allister embarked on the necessary legal courses, while continuing as a journalist on the Daily Express, but then later taking the plunge into full-time law. “It’s an absolute pleasure being back in Shrewsbury. I am very much enjoying my new career and am delighted to have qualified as a solicitor,” he said.